I enjoy my wildflowers of Canada plates. This one was given to me by Dad and Alma as a gift they selected for me on one of their across Canada trips. They took my Dad's older sisters with them on one of these trips and stopped to visit their childhood home in Manitoba. To this day they talk about that trip. They visited relatives they'd never seen before and had a grand time together! 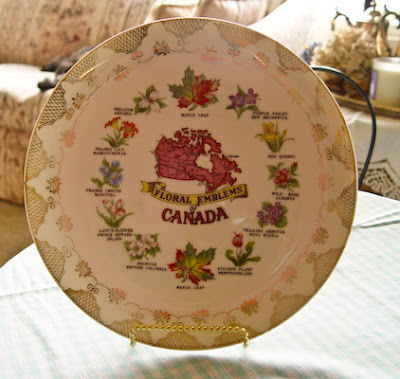 This wildflowers of Canada plate is a recent acquisition. Like the one above, it shows the wildflower of each Canadian province. I found this plate at Goodwill for less than $3.00. Since Goodwill also had a wildflower plate from Alberta (also for less than $3.00), I decided to pick it up as well. Finding it gave me an idea for a project that I will probably be working on for a long time as I seek the specific plates required. I would like a 'wall of plates' that represent the birthplaces of family members. This one from Alberta represents my mother. 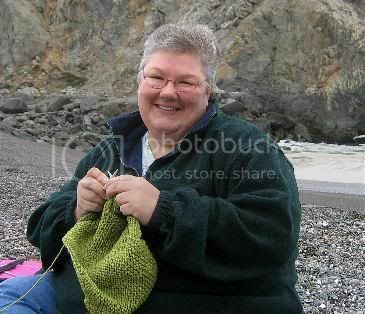 She was born there (in her grandmothers house) on a snowy day in June! 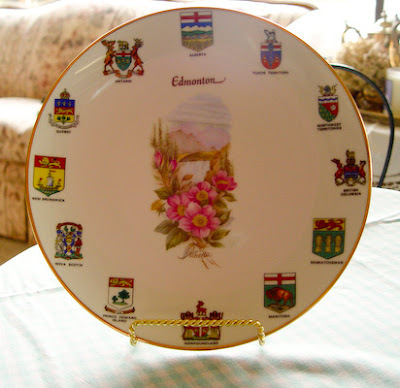 Now I'm looking for decorative plates from British Columbia, Manitoba, and Saskatchuen. And of course --- a price similar to the ones I've already found would be fantastic! I can only wish. A project like this is all about the hunt. . .
Great project idea. 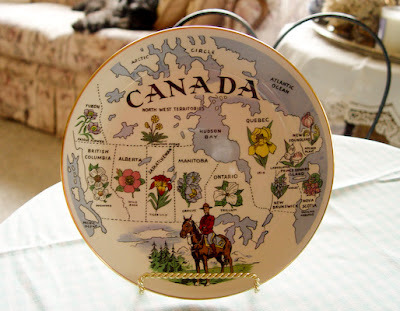 seeing your Canada plates made me realize that I do not have a plate depicting Canada among my collection of blue and white plates of places I've visited. Now I must seek a blue and white plate of Montreal. As always, your post is very well done. The Canadian plates are beautiful! I have a collection of plates that were my Grandma's and one day I hope to live in a place where we can hang them up in the kitchen or dining area. I hate having them stashed away hidden! Oh absolutely patience in the hunt and joy in the discovery! Oh I have one old plate in my cupboard .. .similar. . I'll have to dig it out and see which flowers it has. How fun.